Novo Nordisk has raised its sales expectations for 2012, after strong results for the first six months of the year saw double-digit profit growth on the back of revenues that rose 17 per cent to DKK 37.2bn. Bucking the trend in pharma for flat or negligible growth, the firm's net profits were up 22 per cent to DKK 10bn (€1.3bn), thanks to a strong performance by it modern insulin portfolio and type 2 diabetes drug Victoza. Sales of Victorza (liraglutide) were up by 82 per cent to DKK 4.3bn and could get a further boost if late-stage trials in obesity and in diabetes in combination with Novo Nordisk's long-acting insulin candidate prove a success. In phase IIIa trials the fixed ration combination with Tresiba (insulin degludec), known as IDegLira, reduced HbA1c levels more than either Victoza and Tesiba on their own. 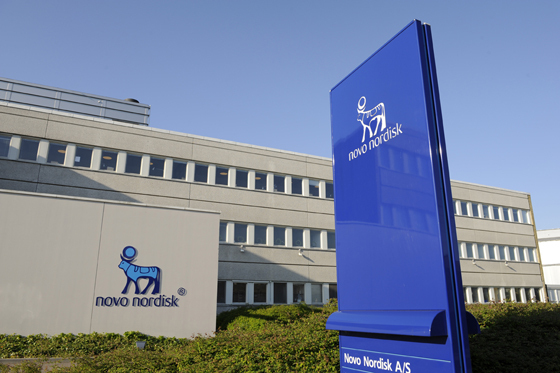 Novo Nordisk said Victoza has also increased its hold on the market for GLP-1 inhibitors, increasing its share of the global market from 47 per cent in the fist half of 2011 to 65 per cent in the same period this year. The company said it now expected 2012 sales growth to be 1 per cent higher than previously expected, putting it in the 9-12 per cent bracket. But the second half of the year could bring some challenges for the company after the US regulatory review of two of its long-acting insulins, Tresiba and Ryzodeg (insulin degludec and insulin aspart) was delayed. FDA advisors pushed back their committee meeting about the drugs to November, 8, citing the need for further data clarification and analyses, but a larger potential shadow hangs over another product. One patient in a phase II trial of Novo Nordisk's late-stage fast-acting recombinant coagulation factor VIIa analogue vatreptacog alfa developed antibodies with a potentially neutralising effect. The company said the impact of this finding on the project is currently being evaluated and final trial results are expected in October.